September 7, 2017 | -by: Kevin George. As the calendar gradually crawls to the month of September, email marketers across the globe get ready for the busiest quarter of the year i.e. the Holiday Season. Whether you are a brick-and-mortar storefront dabbling in omnichannel marketing or full-fledged e-commerce/ online retailer, it is time to get ready to experience a wave of potential customers who are in the lookout for some holiday shopping. 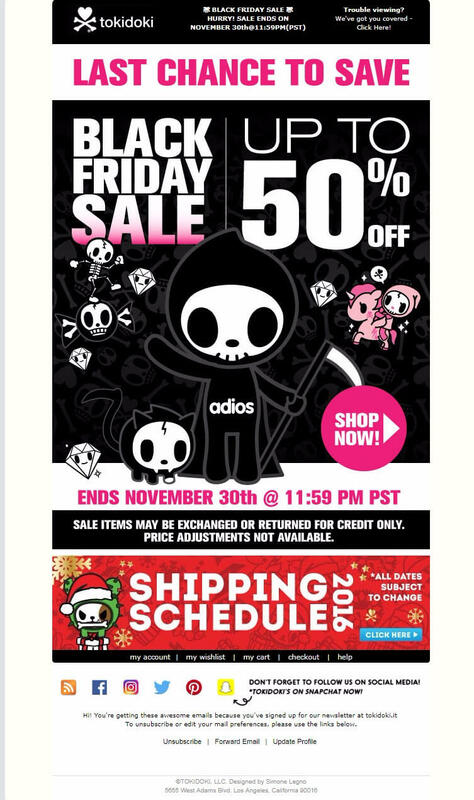 As per a study, 49% of e-Commerce marketers will have created and launched a holiday marketing campaign before Halloween. If you belong to the 49% of above mentioned marketers, you would have started creating your holiday email marketing strategy for this holiday season. If you belong to the latter section, this is a good time to tighten your shoe laces and begin creating your holiday emails. To reduce the amount of time dedicated to create an email design, the Monks shall enlighten you on choosing the right colors for your holiday email templates. Yes, just the way seasons dictate email colors, holiday emails too have specific color schemes associated with them. Every year, October 31st is celebrated as Hallow’s Eve or much popularly known as Halloween. Pumpkins are found plentiful during the Fall season and people carve scary faces on the pumpkins to decorate their houses. Predominantly black, violet, orange and red are the most favored colors used for Halloween email templates. In both the above emails, you can observe that most predominantly used colors are orange and red for text & CTA buttons with black or violet as backgrounds. Come November and the season is preparing to change from Fall to Winter. Thanksgiving, celebrated on the 4th Thursday of November, is a harvest festival and is closely associated with dried up leaves, pumpkins and the grand feast prepared to express gratitude for the harvest. Emails sent during this period usually feature elements in orange, yellow and brown colors. 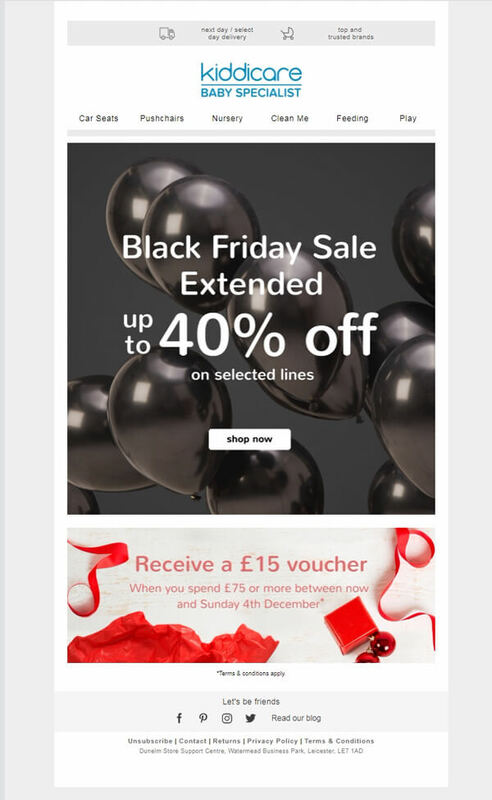 Though not necessary, most brands make use of the color black for their Black Friday emails. Paired with contrasting colors such as gold and yellow, but more significance is given to black. Time for fun, time for cheer! Christmas is about being with family. Snow falling, sipping hot cocoa and opening bright colored gifts stored below the Christmas tree. Brands try to replicate the same cheerful feelings in the Christmas email templates by using red, gold, blue and green colors. We hope these color ideas will be fruitful for you and shall help you create better holiday emails. For any email design and coding services, drop us a mail on hello(at)emailmonks(dot)com or get in touch with us over live chat. These are some great suggestions, thanks for sharing Kevin. It’s good to save them for future reference, holidays are aproaching!